With more than 1 billion active users, Whatsapp is the number one instant messaging app. Until now, it has been limited to our smartphones with an extension to the web interface on the desktop. But now the Facebook-owned instant messaging service has come up with an exclusive desktop app for Windows 8 and Mac OS X 10.9 and above. Like its Web interface, the app will also sync with users’ account on the app on smartphone through QR code scan. As soon as you open the desktop app, you’ll get a message to scan the code. To scan the code, click on the menu button in the app on your phone and choose “WhatsApp Web”. After scanning the code, your app will be set for use. The desktop app offers much more accessibility and ease. It supports keyboard shortcuts and allows messages to be opened in a separate window. It gives users much more control over the entire interface. This is the first time when the Facebook-owned instant messaging service has rolled out its own desktop client. It is expected to rival desktop messaging services such as Slack. Until now, Slack has been ruling the arena, but with WhatsApp’s entry, it might feel shaken up. Desktop services have been more popular for businesses as they’re more efficient than e-mails. 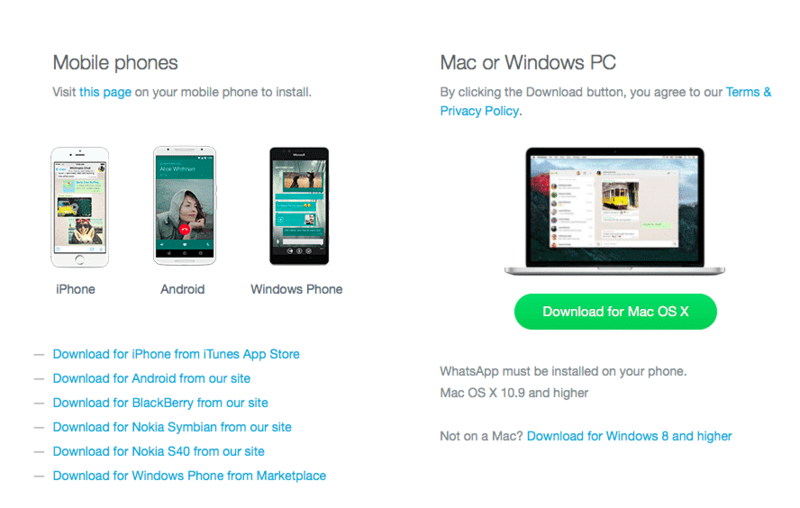 One of the reasons why WhatsApp rolled out the desktop app is to tap the enterprise audience. However, Slack has a dedicated environment for enterprises and it looks much more professional. On the other hand, WhatsApp’s desktop app could prove to be more of a mix between personal and professional contacts. To conclude, the desktop app works pretty much like the Whatsapp Web. You can download the app by following this link. After installation, let us know if you find it better than WhatsApp Web. We would love to read your views in the comment section below.